When we moved to our last homestead, the previous owner had set out photographs of her garden's bounty all over the table like it was a selling feature of her home. I thought it was cute at the time, but I was only interested in things like bedroom space. 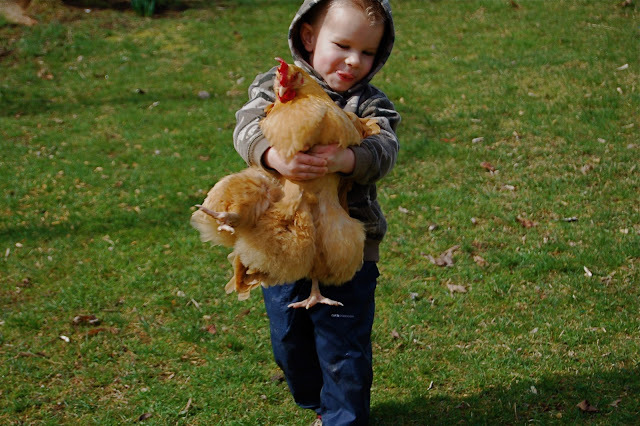 The second year there, we decided to dabble in a little gardening, and before long we decided to start a laying flock in order to build work ethic in our children while they were able to see a tangible return on their labor (eggs). Well, you know what they say? Chickens are the gateway livestock! 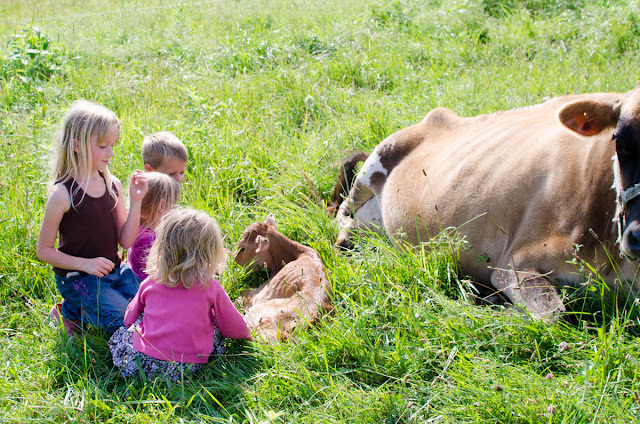 Soon we were raising meat chickens, pigs, and eventually a family cow for the best milk ever! I just love being outdoors. Having chores to do gives me that excuse when otherwise I might find homemaking obligations locking me up indoors for far too long. Working with the livestock, digging in the garden, laboring alongside my family to provide our most basic needs gives my soul such a rich fulfillment and I can't imagine ever living any other way again. For me, keeping on top of all the tasks that need to be done on a homestead plus scratch cooking, homeschooling, keeping a clean-ish home etc... has been such a challenge. I really had to work at creating systems and schedules that work for me to help me keep things running smoothly. Putting together a Homestead Management Binder has been such a blessing to our farm and the more we work it, the more benefits we realize come from being organized. It never fails to amaze me at how much better homegrown and raised food tastes. You would think that a tomato you grew tastes like a tomato, but I'm here to tell you that the you can definitely taste the blood, sweat, and tears that went into it and they must make the best fertilizer because the flavor is out of this world. I had no idea I was such a vocal eater... but a bite of chicken from our backyard, fried in grass-fed beef tallow, and then stabbed onto a fork with half an heirloom cherry tomato picked from the garden an hour ago, oh my! With 10 mouths to feed, I find it easy to worry about feeding them well. Since I began homesteading, I feel so much more dependent on the Lord's provision for our day to day needs. We can do all of this work but He truly is the one to give the increase. Actually, by keeping homestead production records over the last 5 years, I am always able to see that where He didn't provide in one area (such as a crop failure), He provided bountifully in another area to make up the difference. In the end, our year-end totals always come out to be about the same total poundage! Seriously, listen to me on this one. I know it is so easy to want to jump in and do all the things, but you'll do none of them well. Things will die, crops will go to waste, the weeds will take over. Add one, maybe two new ventures to your homestead at a time. 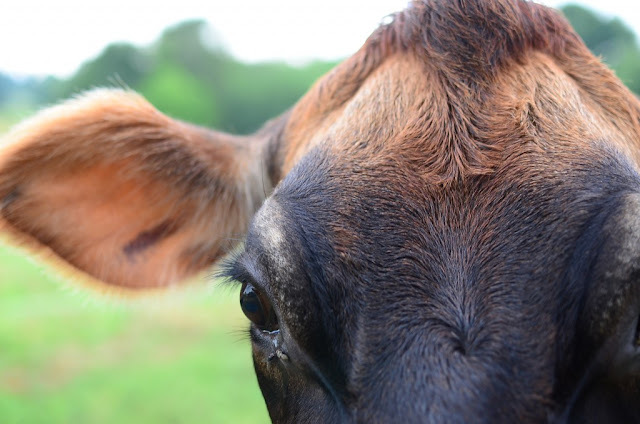 Allow the new chores to be incorporated into your routine until they are second nature and until you do them successfully, and then begin to consider what you'd like to add to your farm next. Quinn is a homesteader’s wife and mother to a whole bunch of farm kids (not the goat kind.) She is devoted to living an agrarian life, working with her family to grow and raise most of their own food, and helping others realize their homestead dreams. 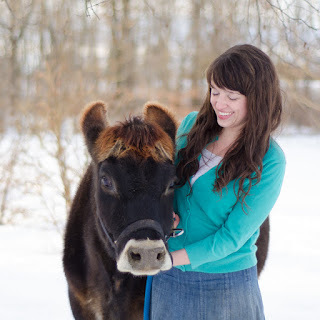 She writes at Reformation Acres, sharing their journey and helping homesteaders keep the simple in the simple life by managing orderly, abundant, and joyful farms.